the NEC, choose to stay in Stratford overnight, because of the quiet ambience of the town. There are also a wide variety of quality restaurants to match that of our big city neighbour. Round off a day at the exhibitions with a visit to the RSC Theatre. of crawling through city congestion at 15mph. Our Guest house provides comfortable accommodation and all the facilities you would expect of a 4 star establishment. All rooms have en suite shower. Colour TV's with freeview channels, hair driers, FREE unlimited WIFI etc come as standard. There is parking on the driveway for all Guests, and we can also permit transit vans (by arrangement). Double and twin rooms are available. Single occupancy bookings are provided with a double bed. Breakfast is served from 7.30am. Time to select from the extensive menu, and eat your breakfast in peace, before joining the hustle and bustle of the day and still be at the NEC by 9.00am. 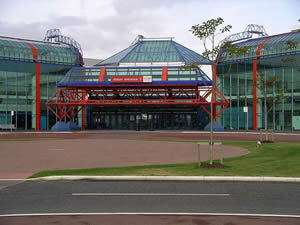 The Spring Fair and The Good Food Show, are prime attractions at the NEC, and advance bookings are recommended. 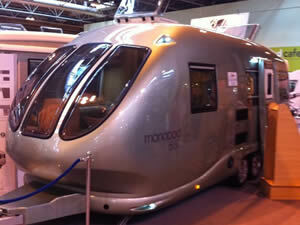 Hospitality Show NEC 21st - 23rd January 2013. Some availability. Autumn Fair 1st - 4th September 2013. NEC Bed and Breakfast accommodation.